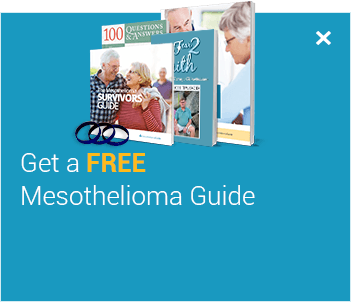 At Mesothelioma Guide, we are proud of how many mesothelioma patients we have been able to help over the years. Patients and their family members from all over the country, and sometimes farther, have contacted us for help. Our patient advocates have helped assist mesothelioma patients with everything from finding a doctor to filing a claim for compensation. Below are testimonials from real people about how we made their difficult mesothelioma journey a little easier. 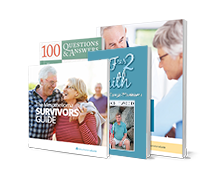 "Carl and Jenna are positive, unbiased sources of information"
Carl Jewett and Jenna Campagna were fantastic resources to help us navigate the crazy world we were thrust into when my father was diagnosed with mesothelioma in January 2018. There is so much negative information and so many people who are looking to capitalize on your vulnerability when you get such devastating news. 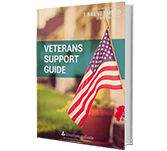 Carl and Jenna are positive, unbiased sources of information- quick to direct you to legitimate sources of information and to provide their guidance on treatment options and how to work through the process of things like VA claims. 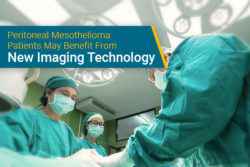 While I hope you never need to reach out to them, if you find yourself on this same journey of battling mesothelioma you should absolutely use them as a resource. "I can't tell you how grateful we are for your guidance"
No matter what the outcome is, this gave us peace of mind and validated what a good doctor and hospital system looks like. Thank you again! I can't tell you how grateful we are for your guidance. Dr. Levine was extremely helpful, his bedside manner was outstanding, and he answered all of our questions with honesty and empathy. He gave us a great second opinion with the choice of having the debulking surgery + HIPEC. "I can honestly say we thank our lucky stars we found this organization"
On July 31, 2014, our world came crashing down when my husband was diagnosed with mesothelioma. I started to do some research and was given Carl Jewett’s name, who specialized in assisting Veterans with VA claims. I was skeptical because I did not know how to begin to do anything with the VA. I was still so numb and needed help at this difficult time in our lives. So I decided to make the call. Truly, he was a life saver. He was very sympathetic to what we were going through plus guided us on ALL the forms that were needed. I can honestly say we THANK our lucky stars we found this organization and hope he will ease a few more VETERANS through their ordeal. He was outstanding working with us and he even followed up with us to make sure we received our letter from VA disability. Great organization and truly hope you make that call. "I have appreciated a kind voice to help me navigate through this clinical trial maze"
I appreciate you sending the trial involving Keytruda. That drug has been on our radar. We sought a second opinion and that oncologist mentioned Keytruda. We will give that information to our local oncologist. Please please use me as a reference. I have so appreciated your prompt responses and professionalism. Most of all, I have appreciated a kind voice (cyber and real) to help me navigate through this clinical trial maze. It can be a wee bit daunting. Thank you again, Jenna. You are very appreciated. "Your information about how to file a claim made it very easy for us"
My father and I would like to thank you for all the help that you have given us regarding my father's VA claim due to his asbestos exposure while working in the boiler room aboard ship serving in the US Navy. When my father was first diagnosed with asbestos disease, our first thought was filing a VA claim would be a very long, drug-out ordeal that would take years. But, thankfully after talking to you, you cleared up all of our ill thoughts about how the VA works. Your information about how to file a claim made it very easy for us. From sending us the proper forms, to explaining how to write an exposure summary and what to expect from the VA during this trying time was tremendously appreciated. We thank you Carl, and hope that other military veterans, who were exposed to asbestos when they proudly served their country, seek help through mesotheliomaguide.com. Thank you for all your help. "I honestly don’t know what I would have done without your guidance"
Thank you cannot begin to describe the appreciation I have for all you have done for me and my husband as I struggled to deal with his mesothelioma diagnosis. 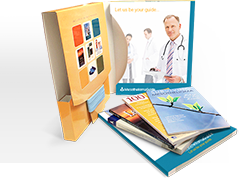 Your advice about the available medical treatments, the doctors you recommended and even the law firm you put me in touch with have been a Godsend. I honestly don’t know what I would have done without your guidance. Thank you again for the time you have devoted to me and my husband, but most importantly for the genuine concern you showed. I feel that you are a part of our family now. God bless you and your organization. I would like to thank you for all the help that you have given us regarding my father’s mesothelioma diagnosis that he got from working in boiler rooms in the Navy and during his civilian career. Your information about VA benefits was so helpful. 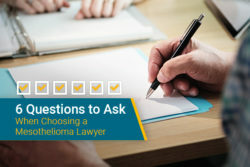 And when my father was first diagnosed with mesothelioma, we knew he could file claims against the companies that made the asbestos he was exposed to, but assumed the process would be difficult and take years. And we had no idea how to go about finding a good mesothelioma law firm with experience in representing vets with this horrible disease. But, thankfully, after talking to you, you cleared up all of our misconceptions about how the legal system works in these cases, and you recommended a firm that has been absolutely wonderful in representing my dad. We cannot thank you enough Carl, and hope that other people who are diagnosed with mesothelioma take your advice. Thank you for all your help. "Your support and interest have been a light through a dark tunnel"
Thank you so much for the information you provided our daughter about Dr. DePerrot. My husband had the EPP surgery one week ago today with Dr. DePerrot and thankfully everything went according to plan. 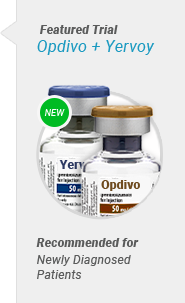 My husband and I feel very privileged and lucky to have found Dr. DePerrot and to qualify for this clinical trial. That together with the literature you sent, your support and interest have been a light through a dark tunnel. Thank you so very much for everything. 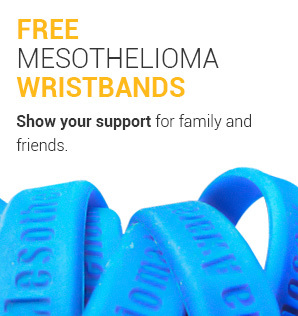 I want to thank you for all the help you gave me as I struggled to deal with my mesothelioma. Your advice was detailed with all the things I needed to do to reach the benefits available for living with this disease and the help that is available. You helped take away the uncertainty I was faced with on how to proceed. Thanks. I wanted you to know how much I appreciated your assistance with my brother’s care. Most important, is that I do and did appreciate your help and direction with his insurance/disability issues. It was important to him and his family. Thank you so very much for the detailed information you provided for my dad’s VA Claim. All I know is that his face always lights up when he talks about the navy. His heart and soul was in the navy. Thank you again for your time and most importantly your proactive concern about my daddy. Just wanted to let you know that dad’s VA claim was approved at 100%. You can’t even imagine how much this will help my family through these hard times. Without you, there’s no way we would have been able to get through the paperwork and filing process as fast as we did. What you’re doing to help families is awesome...keep up the excellent work! Thank you so much!! !